Developing confidence and "creating a speak-up culture among girls is essential in the #MeToo era," says an author of a new book that shares actionable ways girls can develop and spread confidence. "There is no quality more essential and yet maddeningly out of reach for teen girls today than confidence," Claire Shipman, co-author of "The Confidence Code for Girls" with Katty Kay, told "Good Morning America." Confidence is "critical for resilience, success, satisfaction and happiness," Shipman added. Yet as girls grow up, especially at around the time they reach adolescence, "They aren't building confidence as well as boys are." "Even though girls are scaling great academic and intellectual heights," Shipman said. "They also become mired in rumination, people-pleasing, perfectionism and anxiety." Social media contributes to that "quagmire," Shipman said, as it can result in "the dizzying escalation of social conflicts and drama, the ever-present comparisons to other kids posting only the most polished, airbrushed images, and the addiction to the dopamine rush of getting 'likes' and followers." But social media can also boost confidence -- if it's used well. "It’s not realistic to think kids won’t use social media, so it’s important to know it can be used well. Studies show that inspiring images can actually provide a hit of positive hormones like oxytocin, for example," said Shipman, adding that platforms like Instagram can allow people to find their tribe and make very real connections. Instagram has partnered with "GMA" and the authors of the "The Confidence Code for Girls" to launch a campaign to fight back against and use social media as a tool to spread and develop confidence for girls. The #CaptureConfidence campaign encourages girls to share images that express their true, most confident selves. 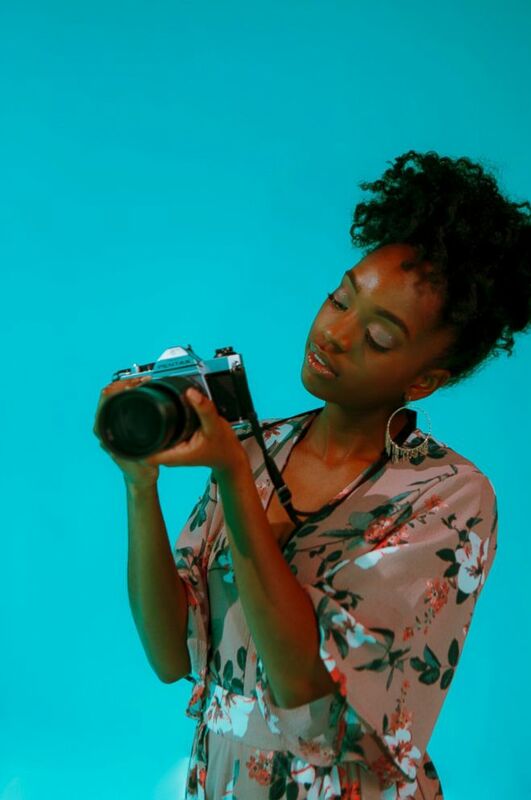 Whether that be through sharing photos of activism work you take pride in, or just sharing a selfie embracing your natural hair, the new campaign encourages participants to share snapshots of confidence in all its forms, with the hashtag #CaptureConfidence. On Wednesday, "GMA" will feature some of the images on the show and on "GMA" social channels. We're inspired by so many young people who are turning to social media to express themselves and find support. That's why we're launching the hashtag #CaptureConfidence with @Instagram and the authors of @confidencecodegirls to celebrate how confidence looks different for everyone. Post YOUR photo showing us what confidence looks like to you with the hashtag #CaptureConfidence for a chance to have it featured on @goodmorningamerica next week! All photos by @BlairBBrown. Photo 1: The 16-year-old behind @ariellemartinezcohen, is a singer/songwriter who uses her account to promote art as activism. Photo 2: The 17-year-old behind @elliewheels, Ellie uses her Instagram account to bring visibility to disability rights, women's rights, and LGBTQ rights. Photo 3: The 13-year-old behind @curlanistas, Lexi is the author of children books designed to inspire and build self-esteem. 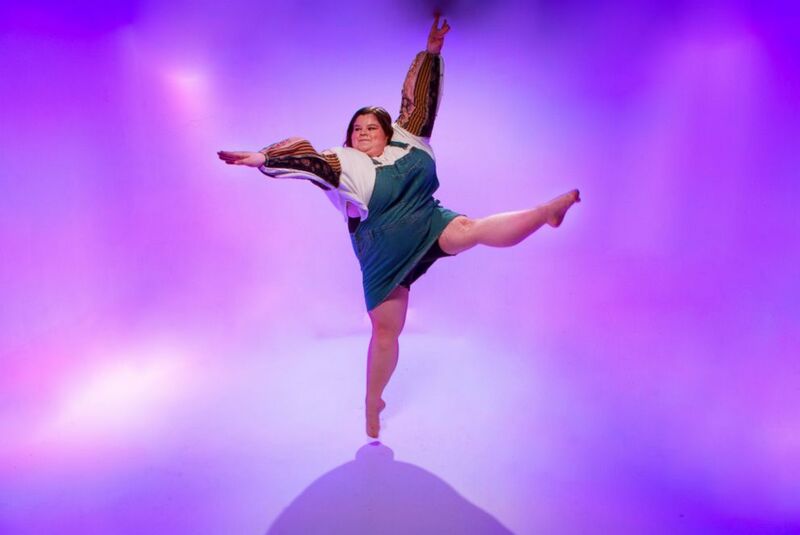 Photo 4: The 16-year-old behind @lizzy.dances, Lizzie uses Instagram to change the stereotypes about dancers' bodies. Photo 5: The 19-year-old behind @Olivia was an ambassador for @girlpowermeetups, which brings young women together to talk about relationships, self-esteem, activism, and more. Instagram tapped five women who are using the platform to inspire their communities and raise awareness around important issues to express their unique and confident selves in a photo shoot. 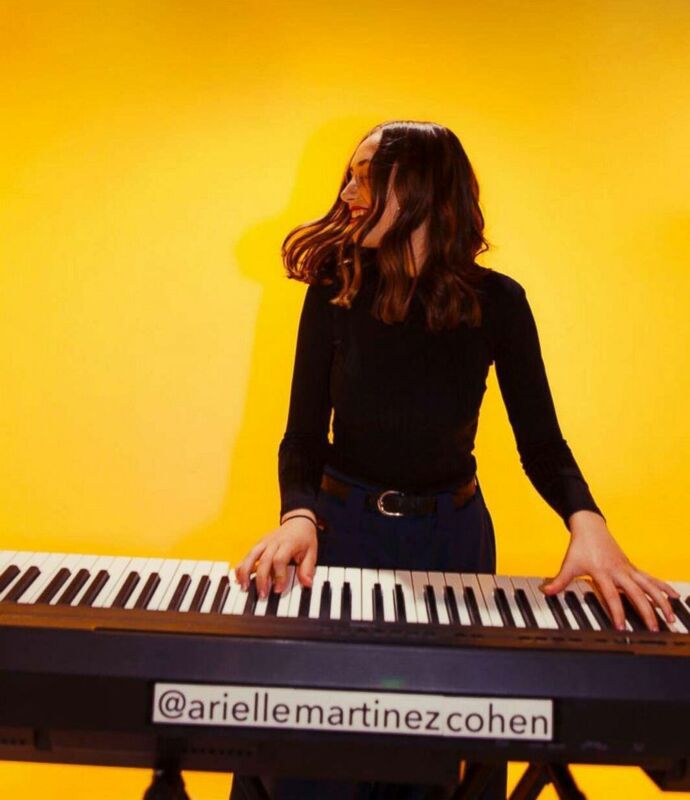 Ariella, a 16-year-old singer/songwriter, who uses her account @ariellemartinezcohen to promote art as activism. The 16-year-old behind @ariellemartinezcohen, is a singer/songwriter who uses her account to promote art as activism. She created a song for all those affected by school shootings and performed it @marchforourlivesla. Lizzie, 16, who uses her Instagram account @lizzy.dances to change the stereotypes about dancers' bodies. The 16-year-old behind @lizzy.dances, Lizzie uses Instagram to change the stereotypes about dancers' bodies. Ellie, 17, whose uses her account @elliewheels to help bring visibility to disability rights, women's rights, and LGBTQ rights. 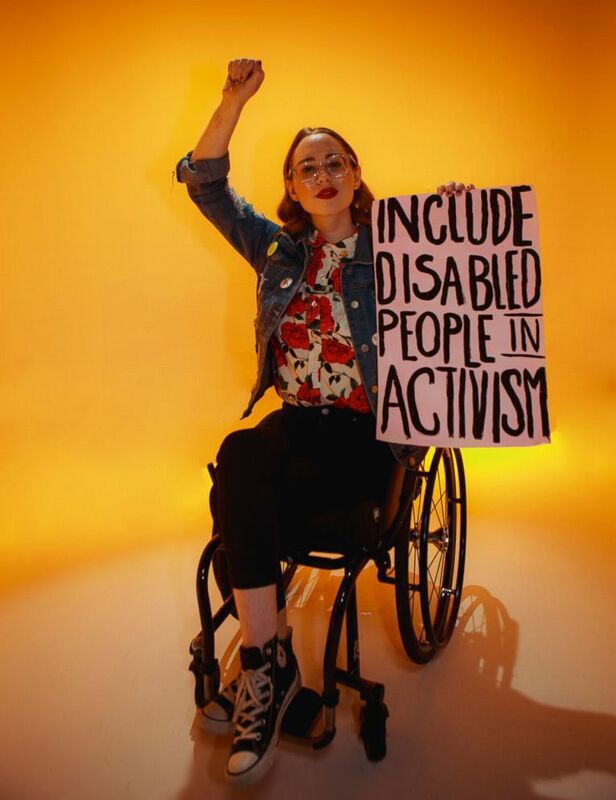 The 17-year-old behind @elliewheels, Ellie uses her Instagram account to bring visibility to disability rights, women's rights, and LGBTQ rights. Lexi, the 13 year-old behind @curlanistas and Curlanistas, which is a movement developed to get girls of all ages to embrace their natural hair. The 13-year-old behind @curlanistas, Lexi is the author of children books designed to inspire and build self-esteem. She founded Curlanistas, which is a movement developed to get girls of all ages to embrace their natural hair. Olivia, 18, who started a custom crochet wear company on Instagram and is an ambassador for @girlpowermeetups. 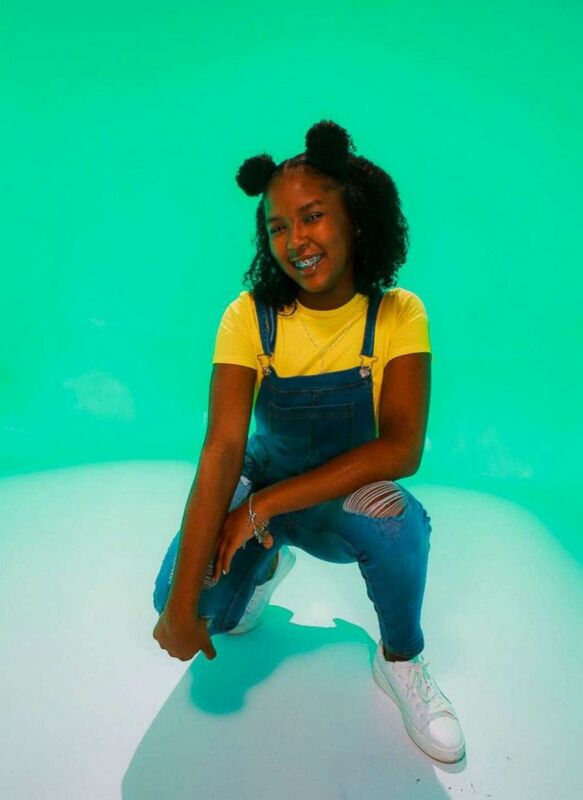 The 19-year-old behind @olivia, not only started a custom crochet wear company on Instagram, Stitched by Liv, but also was an ambassador for @girlpowermeetups, which brings young women together to talk about relationships, self-esteem, activism, and more. The key ways girls can create confidence is by "taking risks, dealing with failure and embracing authenticity," Shipman said. In the book, the authors developed a mantra, dubbed the "A Confident Girl's Manifesto," that they recommend reading along to at least once a week to help develop confidence. "When the focus is on showing their confidence, showing themselves feeling confident -- not pretty or perfect," Shipman said, "girl strength will spread exponentially." • I have a right to be treated with respect. • I have a right to boundaries and personal space. • I will speak up or take action when someone or something is making me uncomfortable. • I don't always please people -- it's not my job. • I am loyal to friends and family, but also to my values, to doing the right thing. • I am strong enough to deal with the consequences of actions I take. • I will find a trusted adult when I need help. 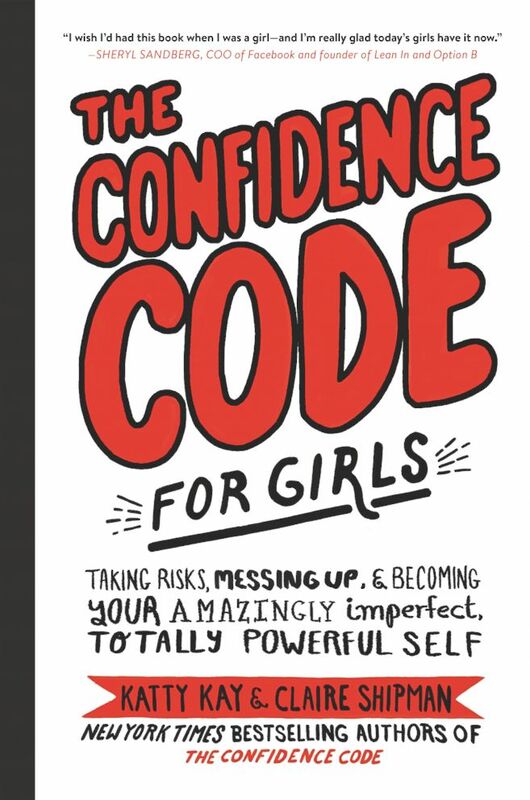 The cover of "The Confidence Code For Girls" by Katty Kay, Claire Shipman, and Jill Ellyn Riley. "A Confident Girl's Manifesto" courtesy "The Confidence Code for Girls"/HarperCollins. Reprinted with permission. • Change the channel: When your daughter has crashed and burned, or even stumbled, the first thing that helps is taking a mental break. • Put it in perspective: Once your daughter is calmer, help her to see how she's survived similar situations. Reassure her that people aren't laughing about her. • Make a plan, and dive back in: As soon as she's ready, help her get back on that horse, or on another horse. Figure out what went wrong, break it down, and start small. • Use the 'It could be much worse' list: This one helps her laugh, and a sense of humor is essential when disaster strikes. "At least you didn't forget to put on your pants when you went to school," could really help get a laugh.